The Diabetes Education Program at LCDHD provides diabetes education in each of the 10 counties within the district. 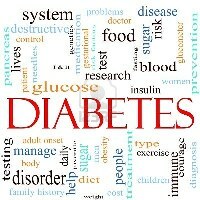 Educators offer free comprehensive diabetes self-management classes, plus evening education opportunities in some counties. The educators also provide education for diabetes prevention within the community at schools, health fairs, senior citizen centers, and community events. The diabetes education program strives to teach individuals how control their diabetes and to live healthier lives. We are here to help! Cumberland County: The Data is in, Drive Sober or Get Pulled Over! Copyright © 2019 Lake Cumberland District Health Department. All rights reserved. Notice of Privacy Practices.